If you have recently upgraded your phone or one of your other electronic gadgets, don’t just have them sitting in a drawer gathering dust. You can actually get some good money for them if they have been gently used. If you have no idea who would like to buy them, then read on and find out. Swappa.com is the place to go if you are looking to sell Android devices. These include smartphones, tablets and iphones. Founded by Ben Edwards in the year 2010, it started off a side project with the main purpose of building a marketplace where people could sell quality devices. They offer safety for both buyers and sellers, simplicity and offer low fees. Glyde.com buys and sells gadgets such as kindles, phones, iPads, MacBooks and tablets as well as games. They guarantee a savings of upto 90% off retail prices of new gadgets. The buying experience is not complicated and they offer a great service, protection as well as convenience. Listing your gadget on this websites only takes seconds and sending your gadget to them is free since they send you a pre-stamped, pre-addressed shipping kit. Gazelle.com sells all kinds of phones including black berry, Android and Apple products. They pay you in cash for your gently used gadget and then sell it to users looking to purchase it. Gazelle has been in business since 2007 but launched their website the following year. Quotes are instant, shipping is free and payments are sent as soon as quality is verified. They have sold over 2 million devices and bought devices worth $200 million so far. Gizmogul.com allows you not only to sell back your old phone but to donate money to charity while at it. Quotations are instant and shipping is free. Once your gadget has been inspected by their technicians you will get your payment via paypal or by check. The best part is that for each deal they transact $1 goes to charity. They build schools both domestically and internationally and also fund afterschool programs. BuyBackWorld.com buys and sells all electronics. Established in 2009 this business offers cash for old electronics via their online platform and offer their customers a seamless experience. Quotes are fair, shipping is free and payment is speedy. They are a green company committed to a zero landfill policy. BuyMyTronics.com buys and sells all electronics including consoles, phones and games. The brand is owned by GameStop, a global retailer of consumer electronics, wireless services and video games with over 6,600 outlet stores around the world. BuyMyTronics is an online trade-in platform offering consumers the choice of trading in electronics that they no longer use. NextWorth.com is in the business of recycling and trading in electronics. 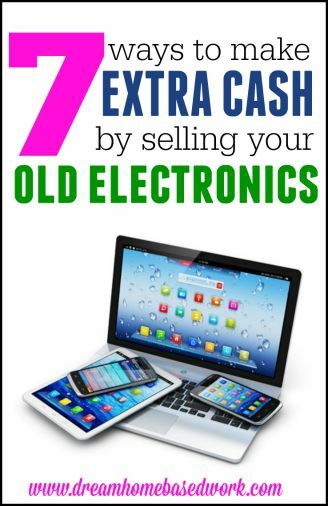 You can exchange your electronics either for a discount on a new model or for cash. This company was found in 2005 by 3 students of Babson College. They buy used electronics at a fair price and then resell eighty to eighty five percent of the electronics why recycling the remaining fifteen to twenty percent. They have partnered with Target where people can simply walk in, have the gadget inspected and receive their payment on the spot. Nice to see some good alternatives to eBay. Really useful post.